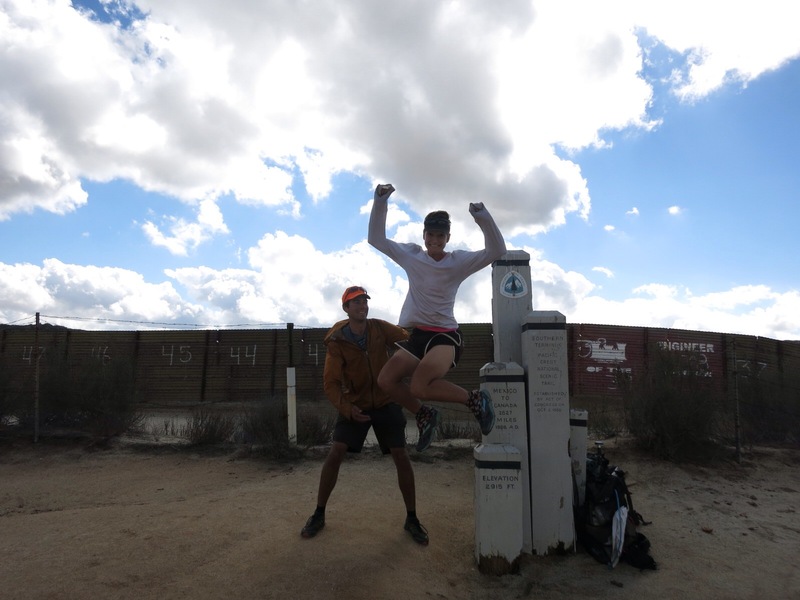 The reasons for post trail depression are quite obvious once you think about the position you will be in once you finish your hike: You will have just completed a gigantic goal for which you are proud, but few others understand. You will likely be homeless or penniless or both. You will likely have no job, and no sense of purpose. You will need to redefine yourself. You will go from exercising 8-12 hours a day to almost nothing. You will go from warm months into the cold depressing winter. You will be expected to adjust to a new lifestyle. Seems like a slap in the face, right!? When you’re hiking, your brain will be used to high endorphin levels from all the exercise. The word endorphin’s comes from “endogenous morphine”, which means a morphine like substance produced by the body. Their effect is to lessen pain and produce a euphoric effect, much like that of morphine. By going from hiking many miles every day to sitting on the couch, you’re effectively taking a morphine addict and putting them in rehab. I believe this is one of the biggest reasons for post trail depression, and why it is so widespread. My best suggestion is to continue exercising as much as possible. Many hikers pick up running after their hikes, and this is what I decided to do after my first thru-hike on the Appalachian Trail. Unfortunately this time around I was left with injured hips and my recovery hasn’t been what I was hoping for. Most hikers worry about preparing for the culture shock of the trail without considering the culture shock of readjusting to “civilization”. Once you have spent many months in nature, your values change and your view of civilization changes as well. You can only fully appreciate these changes once you’re back. There are the expectations of civilized life: take a shower at least every other day. Why? Apparently it matters that my hair looks dumb otherwise. And smelling bad is unacceptable. What’s hard to get used to is taking a shower when you’re not actually dirty. You know you have to, but it feels like a waste. And speaking of waste, everything seems so wasteful and excessive! Why is everyone’s house so big? And why do people eat half a meal at a restaurant and throw the rest away? And why does everything come in so much packaging!? And just look at all those clothes you have! Half of them don’t fit anymore, but you’re expected to change what you wear like basically every day. And sleep in a bed, and eat three meals instead of tons of snacks all the time and sit in a chair at a table… the list goes on. Also, when you get back to “real life”, people will ask you about your hike, but you’ll find that they don’t actually want to know what your hike was like, they just want you to sum it up in about one sentence. That’s like asking someone to sum up their career or their childhood in one sentence. “How was your hike?” they’ll ask. Just remember that they mean well. My response is usually just to say “it was good”, and leave it at that unless they want to start asking for more details. Most people will be impressed by your hike, but you know that they have no actual concept of what you’ve just done. They would have been just as impressed if you had hiked only 100 miles. Even after two thru-hikes, I can’t really visualize 2,500 miles! I think Dirt Stew and I have it slightly easier than most solo hikers. We have each other to lean on, and we’re not in the position of having nobody who understands what we’ve been through. We also enable each other to not give up on trail habits. It took us 5 years to get a bed after our first thru-hike (yes, we slept on the floor), we tend to wear the same two sets of clothes over and over again (I’m convinced a lot of people do this though), and we don’t scold each other for not showering. But we still feel it. The lack of sense of purpose, the lack of sense of LIVING and the easiness and boorishness of everyday life. I miss the natural beauty of the Pacific Crest Trail, and I miss the connection I felt with nature and the earth. Yet I console myself by remembering that thru-hiking has truly made me a better person. I try to be thankful for the things I have: running water, a bed (yes, I am now the proud owner of a bed), heating, my sonic toothbrush, and a kitchen full of food. I try as much as possible not to take these things for granted. I also try to set goals for myself- even small ones or silly ones. Every day on the trail is a day with a goal. You have a goal for the day, and a larger goal for your journey. I try to incorporate some of these same ideas into my life. It can be through exercise (maybe sign up for a half or full marathon? ), or saving money, or your diet, or goals within your job. And don’t be bummed if you don’t have one of those yet. For all the hikers out there, I hope I’ve been able to help with some ideas on how to readjust to real life. Just remember, you’re not alone. This entry was tagged Appalachian Trail, Backpacking, depression, Hiking, pacific crest trail, thru-hike. Bookmark the permalink. Hi, I just stumbled upon your post about post trail depression. I didn’t even know such a thing exists… I was so hard on myself every time I came back from hiking holidays. I just spent 3 weeks in Italy and even tho most of my hikes were just daily ones, I do miss the exercise and the endorphins. I don’t like running so I started to do Pilates with weights etc. I will also take long walks whenever possible but it’s not the same. However your article helped me to understand that what I’m going through is normal and I should be patient with myself. Having goals also helps. Thank you!